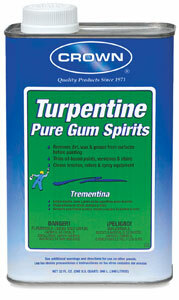 Turpentine is the traditional thinner for alkyds, oils, varnishes, and enamels. 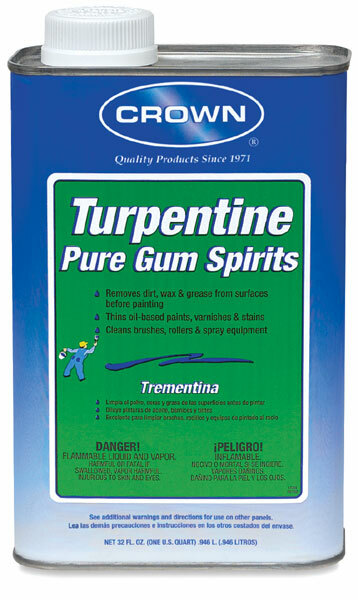 Crown Pure Gum Turpentine improves brushing qualities and cleans brushes, rollers, and spray equipment. It may also be used to remove dirt, wax, and grease from surfaces before painting. Warning — Turpentine is flammable and toxic. Use only in a well ventilated area.